Tagore’s birth centenary inspired Uday Shankar to work on the poet’s poem SamanyaKshati. According to Bose, Shankar’s creativity in SamanyaKshati is still incomparable. With SamanyaKshati, Bose got to witness first hand the genius of Uday Shankar – the perfectionist, performer, choreographer, teacher, visualizer, his keen sense of what would be the apt music to express particular sentiments and themes, his aesthetics, his sense of usage of stage space and finally of course the technology that he brought to India in terms of his lights and stagecraft. This was the beginning of Bose’s learning of the craft of which he was to become a master of – himself. Performances of SamanyaKshatiran at Mahajati Sadan, Kolkata continued for one and a half months. The troupe then went to perform SamanyaKshati in Delhi at the request of the Indian Ministry for Scientific and Cultural Affairs, for their celebration of Tagore’s birth centenary. They performed at IFAX Hall for almost seven consecutive days. 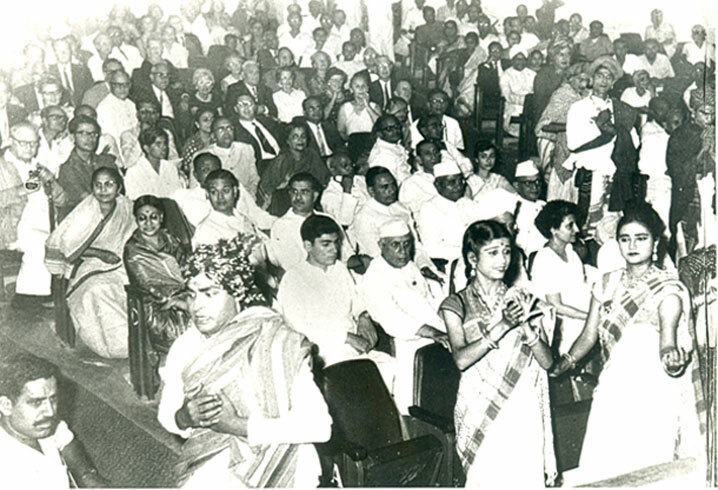 The dignitaries visible in the audience at IFAX hall for SamanyaKshati, from left to right in the second row, Shri. Rajiv Gandhi, then Prime Minister, Pandit Jawaharlal Nehru, then President, Dr. Radhakrishnan, and Smt. Indira Gandhi. From Delhi, the troupe went to Jaipur. From Jaipur they returned to Kolkata and performed SamanyaKshati, at New Empire for seven days. The troupe then began its tour of Western India which lasted over a month. They tour covered the cities of Bombay, Pune, Nagpur and Ahmedabad. Once they returned to Kolkata, the troupe began touring nearby places like Burdwan, Katoah, Kalna, Shiuri, etc. The reason for giving these details is just to give a glimpse of the life of Shanti Bose during the early stages his association with Uday Shankar, when he was gaining the experience of a lifetime, as well as the prestige accorded to performing arts in those times. The next unique experience for Shanti Bose was the tour of Canada, USA and Europe in 1962, and the preparations that went behind it. All the performances in various parts of Europe as well as the performance in Seattle World Fair, was organized by the Ministry of Scientific Research and Cultural Affairs, Government of India. The rest of the performances in Canada and USA were hosted by the internationally renowned impresario Solomon Hurok. The preparation for the tour of 1962 began with Shanti Bose attending the general classes conducted by Dada (Uday Shankar) at his home. The goal of these classes was twofold – the first was to help focus the mind and to bring about supreme coordination and synchronization of the body and mind; and the second, to maximize dexterity. Apart from exercises, improvisation classes were also held to help enhance the creativity of the dancers. After a month of these general and improvisation classes, Dada took the entire troupe to Madras for a period of four months. The reason behind this move was to ensure that focus of the dancers was not hampered by any personal distractions. The troupe used to rehearse for 7 hours a day, 6 days a week at Dada’s home in Madras. Sunday was the only day of rest; but towards the latter part of the preparations, they used to rehearse on Sundays as well. Apart from SamanyaKshati, the items that the troupe prepared for the tour included, The Great Renunciation, Astrapuja, Bramhaputra, Khadya – which included Uday Shankar’s famous composition of Labour and Machinery and Panthadi. They also prepared the Harvest Dance – though it was not staged during the tour. The troupe set sail on a ship from Bombay for their trip to USA on September 26, 1962. This was not only to be Bose’s first international trip, but also his first experience of travelling by ship and airplane. It also became first time he experienced snow! A television coverage had been arranged in a room at the New York International Airport itself. Bose was among the privileged few who had been asked by Dada to be present for the event. The troupe performed their first show in Seattle, then went on to perform in Montreal, New York City, Detroit, Chicago, Kansas City, Denver, Los Angeles, San Francisco, Las Vegas, Oklahoma City, San Antonio, Houston, New Orleans, Atlanta, Washington D.C, Baltimore, Boston, Cleveland, a few other cities and then finally flew back to New York. After performing their last show in New York, the troupe flew to London. From London, they went on to perform in Amsterdam, Bonn, Frankfurt, Stuttgart, Munich and Berlin, Copenhagen, Stockholm, Oslo as well as cities in Poland and Yugoslavia. The pride of representing India alongside the man who had been proclaimed to be India’s cultural ambassador, was an exhilarating experience for Bose. Finally, after a tour of five months – the troupe reached Bombay by ship on February 3, 1963. The following years saw Bose rise to the position of not only the lead male dancer, but also the Ballet Master of Uday Shankar’s troupe. This was a position he enjoyed beginning with Prakriti Anando in 1965 to Shankarscope in 1972. Bose reminisces fondly how before the first performance of Kartikeya by him in USA in 1968, Uday Shankar called him, and in front of all the dancers, placed the crown of Kartikeya on his head saying, “My Guru taught me this dance and now I am handing it over to you.” Unlike other items, which were purely Dada’s own creation, this was the only item composed in Kathakali by Guru Shankaran Namboodri that Dada used to perform. The item was not only a favorite of his, but was loved by the audience all over the globe. According to Bose, the privilege of performing this item in the maestro’s presence and in his costume, was the highest award and accolade for him in his entire career. A picture of a page from the souvenir of 1968, with Bose in the foreground. Shanti Bose not only assisted Uday Shankar in his production of Shankar Scope and but also performed the role of the King in SamanyaKshati, in Shankarscope in 1972. This was a huge honour as he was donned once again in the maestro’s costume, as it was a role previously enacted by Uday Shankar himself. Between 1963 – 1965, Bose also got the opportunity to work with Yogendra Sunder Desai and his troupe – the Indian Revival Group (IRG) The IRG was almost a movement, as it collected folk dances, costumes and music from the remotest corners of India, and presented them to urban India, thereby awakening Indians to their rich heritage in folk culture. The opportunity expanded Bose’s horizons as an artist tremendously. It was also during this period, that Bose, along with a few members of Uday Shankar’s troupe (as Uday Shankar had disbanded his troupe after the tour of 1962), formed the Indian Ballet Troupe (IBT). 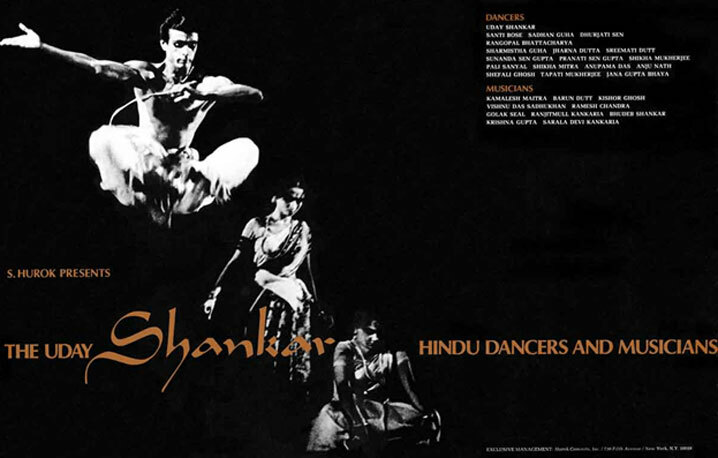 IBT primarily performed ballets based on Uday Shankar style of Creative Dance and Folk Dances of India. 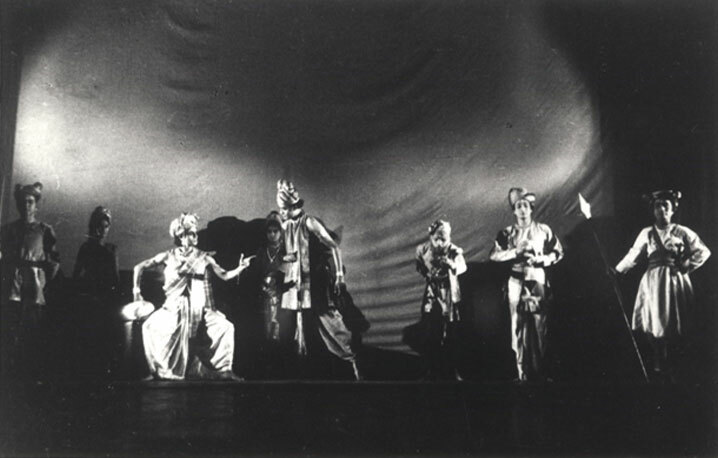 The members of IBT formed the major part of the troupe when Uday Shankar regrouped his troupe in 1965. It was during this period that he also met the Sunanda Sengupta, who had joined IBT as a dancer in 1963. They created their dance institution Nrityangan in 1969, and tied the knot the very next year in 1970. 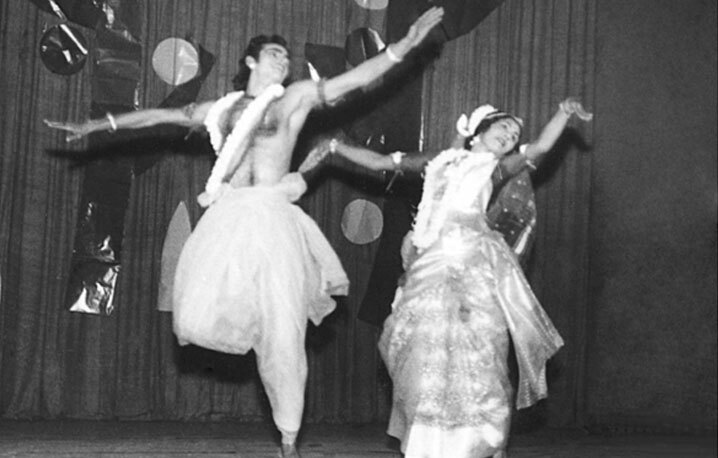 Shanti Bose and Sunanda Sen Gupta in Nrityangan’s first production of Chitrangada in 1969. Uday Shankar’s demise in 1977, left Bose in a pall of gloom. But soon he started on a mission of sorts to propagate Uday Shankar’s style. 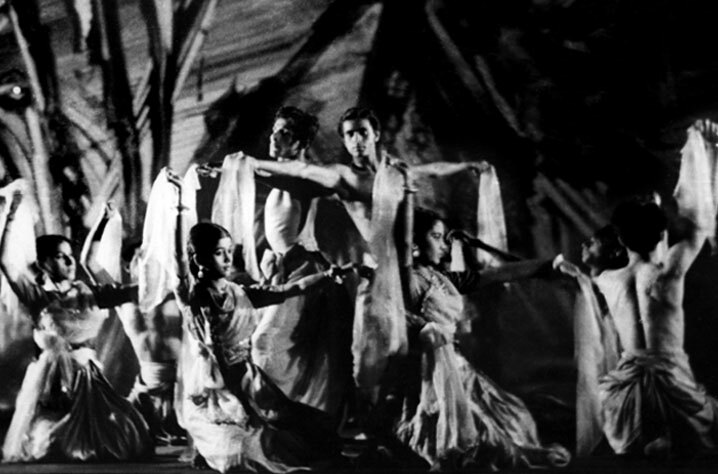 Drawn towards Tagore’s works, Bose created a niche for himself in depicting Tagore’s dance-dramas and other works through Uday Shankar style of dance. Bose’s fascination with Tagore had developed right from his days at the Academy. Not merely because of the dance dramas and dances he had performed, set to Tagore’s songs, as a student of the Academy, but also as a result of the ambience of Tagore’s house at Jorasanko, where the Academy’s classes used to be held. 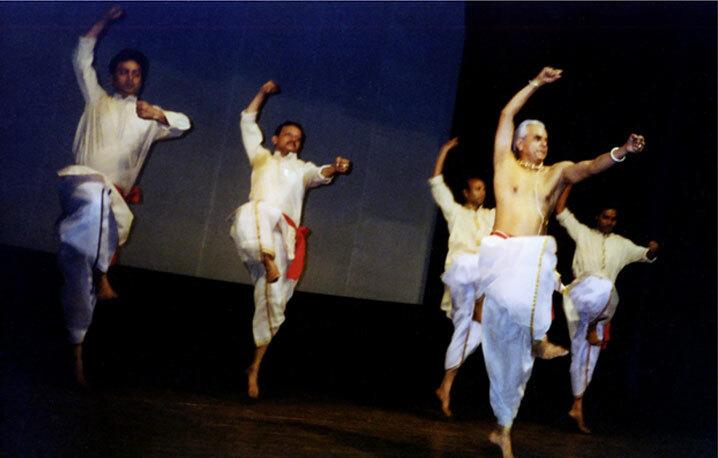 When, he joined Uday Shanksar’s troupe, he began with the production of SamanyaKshati, and became the Ballet Master of Uday Shankar’s troupe for his production of Prakriti Ananda. The transition was therefore only natural. The late Suchitra Mitra, veteran Rabindra Sangeet singer gave Bose his first break in enacting the male lead roles in Tagore’s dance dramas. He played the role of Bajrasen in Shyama, Kach in KachDebjani and Ruhitan in TasherDesh in Rabitirtha’s productions. 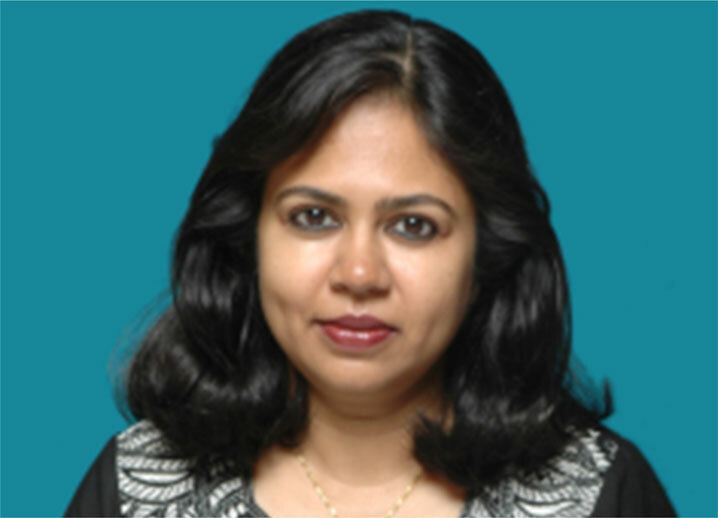 Bose’s next big break in propagating Uday Shankar’s style came with Shyamasree Tagore’s production of Brides of India for the Closing Ceremony of the World Table Tennis Tournament in 1975 under his direction, as well as other programmes under her production banner. Bose was also a part of the Opening Ceremony of the same tournament with RumaGuhathakurta’s Calcutta Youth Choir. Under Rumadi’s music direction and Bose’s dance direction, Calcutta Youth Choir had also won the Best Performer Award in the 1974 Youth Festival, Denmark. Bose was also an integral part of Rabindrasangeet’s doyen, Santosh Sengupta’s Suramandir. A pioneer in popularizing Tagore’s dance dramas all over the globe, Bose was the dance director as well as the lead male dancer for all Suramandir’s productions for almost a decade.Bosealso got the opportunity to work under the direction of Guru Kelucharan Mahapatra in Sutapa Talukdar’s presentation of AbhigyanShakuntalam. Here too he implemented Uday Shankar’s style in the characterization of Dushyanta and won rave reviews. Bose also directed and performed, in water ballet form, Tagore’s Shyama (1969), Chitrangada (1979) and SamanyaKshati (1982) at the Indian Life Savings Society (Anderson Swimming Club), again being guided by Uday Shankar Style of Creative Dance in his choreography. Doordarshan Kendra Kolkata invited Bose, along with Nrityangan, to present several dance dramas like Chandalika, TasherDesh, Life of Buddha, SamanyaKshati, Parishod, Chitrangada, Shyama and Guru Pronam – a tribute to Uday Shankar. Bose was also associated with Loreto House, one of the most prestigious education institutes of Kolkata, and other branches of Loreto, for over 30 years. During this time, he was able to imbibe in generations of students the beauty of Uday Shankar Style of Creative Dance not only through the exercises of the method worked out by Dada, but also with productions like SamanyaKshati, The Great Renunciation, and PrakritiAnanda to name a few. A list of all the performances undertaken by Bose, and the people he had the privilege of being associated with over a career spanning more than half a century, would probably fill a book by itself. Awarded with the AkademiPuroshkar in 2009 and the Uday Shankar Puroshkar in 2012, by the Government of West Bengal, Bose’s goal has been not only to propagate Uday Shankar’s style, but give it a new direction without losing any of the perfection of the movements created by the maestro. With his wife Sunanda, Bose still continues to teach and undertake productions like SamanyaKshati, Life of Buddha, Shyama, Chitrangada, Chandalika, TasherDesh, Saapmochan, Barsho O Basantobased on Uday Shankar style of Dance through their dance institution Nrityangan. 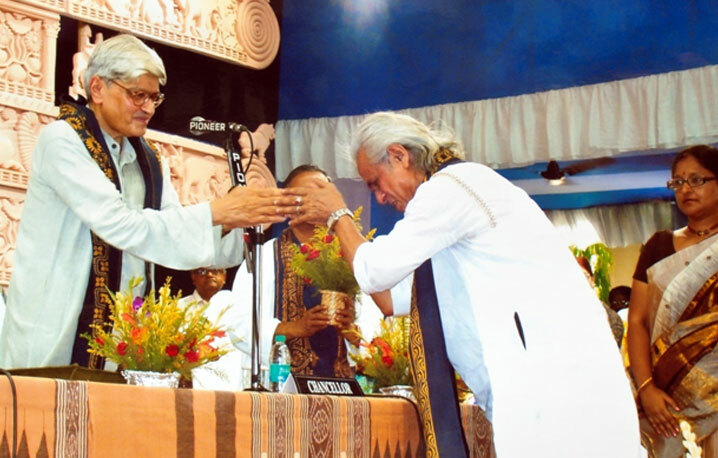 Shanti Bose receiving the Akademi award for the year 2008 – 09, for his outstanding contribution in the field of dance from the then Governor of West Bengal,Shri. Gopal Krishna Gandhi.